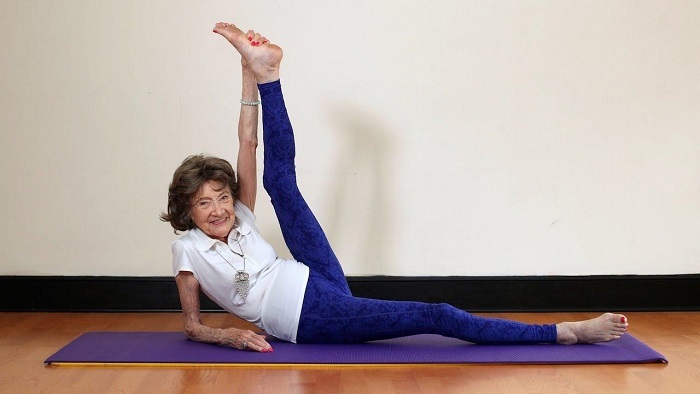 A 100-year-old yoga instructor is so active that she has no plans to stop practicing and teaching. The India origin yoga instructor, Tao Porchon-Lynch, leads her classes in Hartsdale, a northern suburb of New York City. Lynch said she first encountered the ancient practice at age 7 in her native India. Strolling along a beach, she was transfixed by a group of boys doing yoga poses. When her aunt told her the movements were "not ladylike," she responded, "If boys can do it, I can do it."